Creativity is all about connections. One comes up with a concept and connects it to a design or some sort of expression they want to make known, and most often it requires empowering tools to do so. Throughout the ages, artists, makers, engineers, and creators across a wide gamut have had to rely on the tools at hand — and the ones they could afford. While it leads to a competitive edge in the art world, many ideas may never be seen due to those who simply lacked the proper venue for bringing designs to fruition. Most of us are aware that the technological innovations due to 3D design and 3D printing seem to be blasting off into the stratosphere (this could be taken literally), but as it was in the beginning when not everyone had a nice word processor, or an Apple computer, or a smartphone — as they came along, most of us wanted one. We wanted to get in on the latest electronics and capabilities, and still do. With 3D printing coming on to the scene, there are many innovators and inventors, engineers, architects, artists, and more, who have great ideas that are just waiting to come to fruition and roll out in the form of prototypes hot off the 3D printer. But no equipment means no production. Often we see a 3D model and want to download the files and produce the model — but again — no 3D printer means no dice. And it’s the case for many creative sorts, as well as startups who have a fantastic concept and many who are interested, but they have no way to take it from A to Z. While an affordable 3D printer at $500 may sound like a bargain, that’s still a car payment and maybe some groceries too, for many of us — and especially the younger set. And often, a complex prototype needs a higher-quality 3D printer, especially for larger builds, different and alternative materials, and higher volumes. Another startup wants to put an end to this common need though. Hailing from the Digital Media Zone incubator at Ryerson University in Toronto comes Voovo. Voovo wants to provide a way to put 3D printing resources in front of everyone, as well as giving those in the community who possess the equipment a way to share it, and make some income in the process. Voovo points out that the numbers are highly skewed in terms of the amount of designs out there versus the amount of 3D printers. With over 10 million 3D designs online requiring the 3D printers to make them a reality, the fact that only 100,000 3D printers were sold last year means that for the average joe it just isn’t happening, whether they have their own concept to put into 3D print or just want to download and 3D print a model. Voovo thinks it can happen through crowdsourcing of 3D printing jobs with the availability of more 3D printing service studios supplied by the 3D printing community of passionate artists, designers, and makers who have a firm dedication to sharing. The idea is to offer a wide range of services, not just the basic ones already offered by large 3D printing service bureaus. With 10 million-plus jobs out there to be 3D printed, that means many jobs have different specifications and those ordering them have a variety of wants and requirements which relate to quality, speed, location, and pricing. This is not sharing for free, though, to be fair. Voovo offers a platform for job quotes from those with 3D printers in a ‘reverse-auction format’ so that consumers can get the best prices for receiving personalized 3D prints that can be shipped from anywhere, whether they are needed in a rush or routine capacity. The platform can also help to supply 3D prints for rapid prototyping as well as creating unique 3D printed models or for 3D models from Thingiverse or Voovo’s free marketplace. The Voovo platform works very simply as the customer uploads the file and writes a description as well as what their desired requirements and needs are in terms of customization. 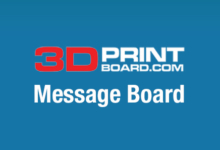 Once that is submitted, 3D printing services can send quotes — but the unique detail is that they can see what types of quotes other print shops are offering, just to add a fine-tuned competitive edge. The customer is able to choose the best fit for them, and have their 3D printed model shipped to their home or office. This year, Voovo plans to create 5,000 3D printing shops with more than 10,000 ‘auctions’ across the globe. It’s the classic win-win for everyone in the maker community as those in need get the help they need at the price they choose, and those who have made the financial investment in 3D printers have a way to make their money back and fund their own projects, thus keeping the cycle of innovation pumping. Do you think the Voovo concept and platform is something you, or other 3D printing enthusiasts, will be able to benefit from? Tell us your thoughts in the Voovo Launches Crowdsourcing Platform over at 3DPB.com.